Shoplet has many other office products to choose from, including promotional products for your business,medical supplies , and office stationery for those important letters, invoices and other items your business sends out on a monthly basis. However, I was I am obsessed with pins so I was pretty eager to try out each BIC pen I received. 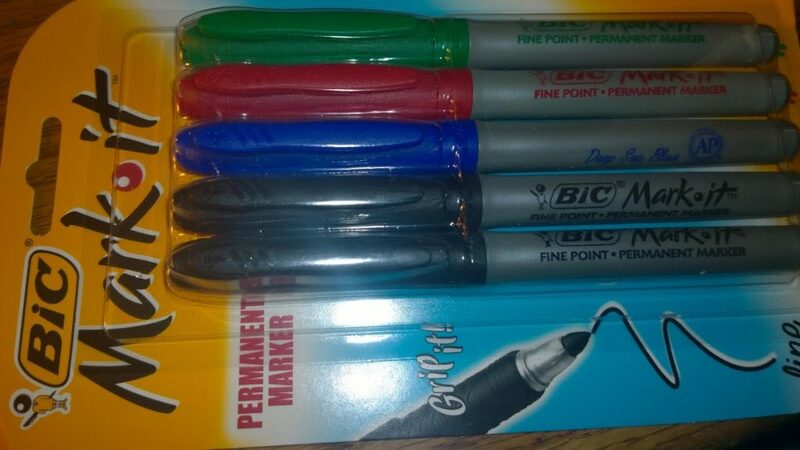 Grip Permanent Marker is a durable pen-style permanent marker with a rubber grip for comfort and control. Makes permanent marks on most hard-to-mark surfaces such as glass, metal, photos, foils, coated papers, CDs, DVDs and most plastics. Long-lasting, durable, vivid ink is certified AP nontoxic. High-quality stylus for a wide variety of touchscreen devices at a great value. Stylus glides across screens easily providing fingerprint-free precision and control. And your stylus is also a retractable ball pen with BIC’s incredibly smooth Easy Glide System Ink. 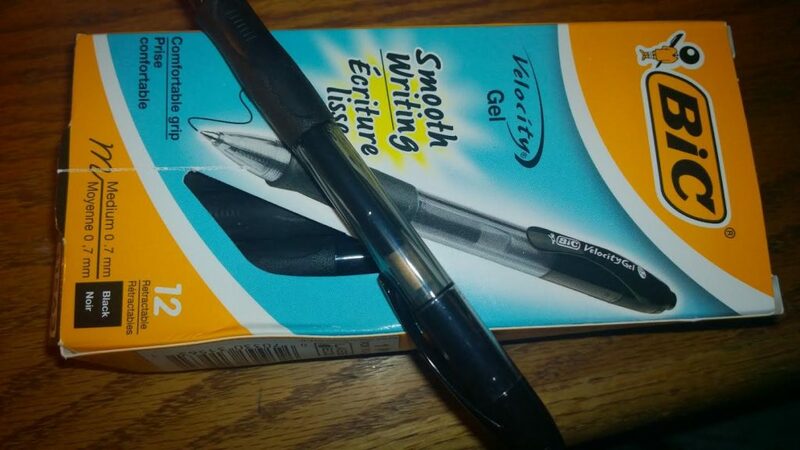 Permanent acid-free, fade-resistant gel ink provides skip-free, effortless writing. Finger-friendly, contoured grip enhances writing comfort. Retractable tip keeps your pockets and purses safe. Provides smooth, vivid lines that are permanent on paper but won’t bleed through results could vary based on the paper characteristics. Water-resistant and smear-resistant when dry. Metal clip and metallic wraps for professional look. Features Easy-Glide Systemup to 35% smoother writing compared to traditional BIC ball pen ink system. Soft cushion grip gives you great no-slip comfort. Bic products are easy to use, comfortable, affordable, long-lasting and durable. 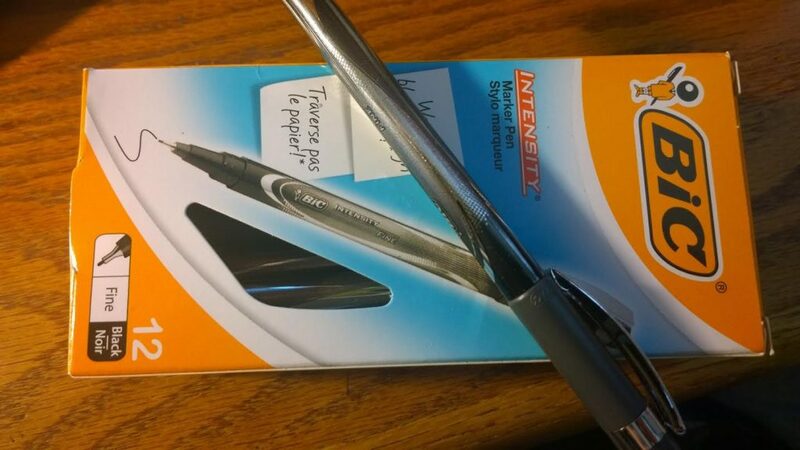 I can’t think of a Bic product I have ever tried that I didn’t like. 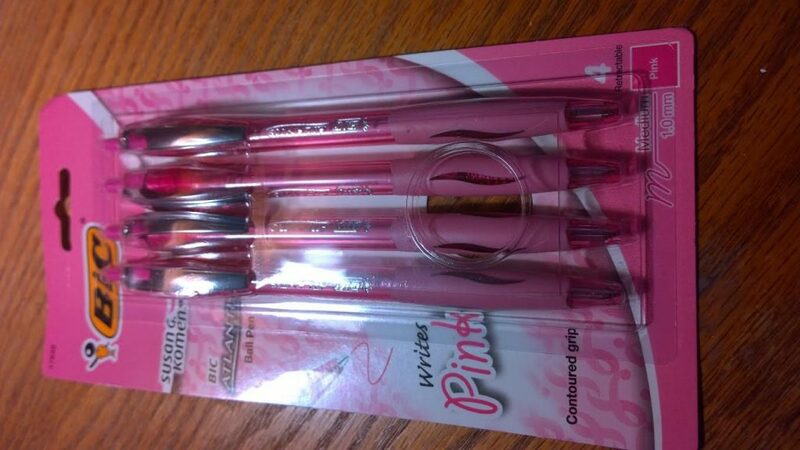 I loved all these products, but if I had to pic my favorite it would be the Velocity Gel pens. I like how they write and to me they seem to flow easy. My husband is a teacher and my older two attend school. I am always looking for ways to help their school out. Did you know that most of BIC products include Labels For Education which allows me to clip the barcodes and send them into their school so they earn money. 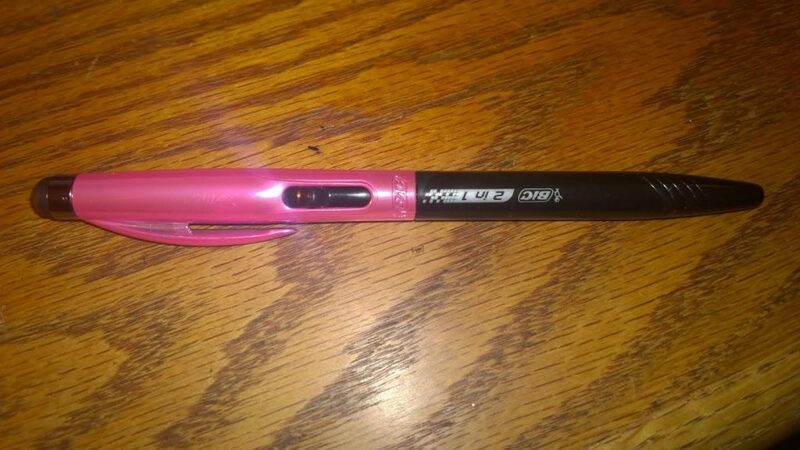 So in the end I get great pens to write with and get to help my kid’s school!